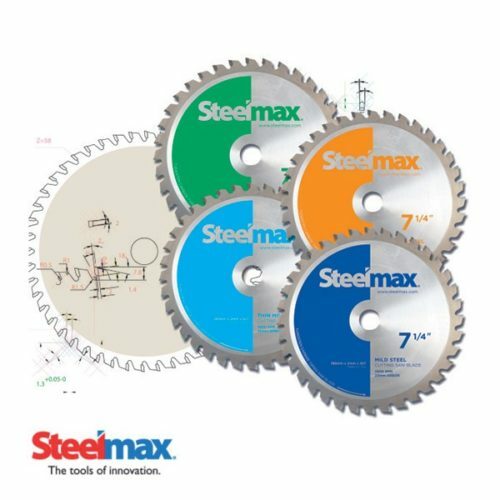 Steelmax metal cutting saw blades are designed to provide maximum performance when cutting ferrous and nonferrous metals. 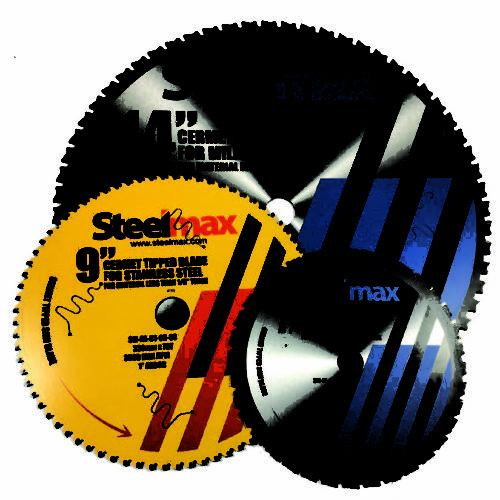 Compared to abrasive cutting wheels, Steelmax metal cutting saw blades cut faster and more accurately. They also impart less heat and produce no hazardous dust. 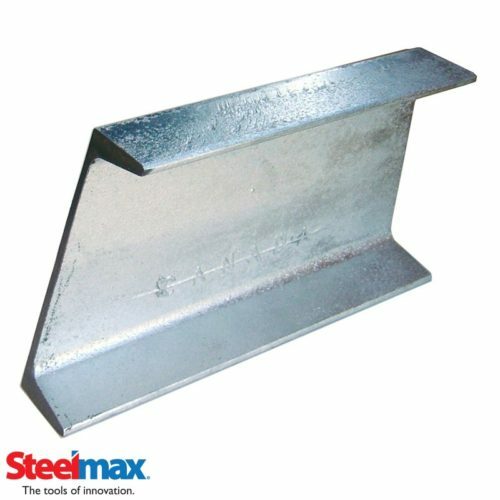 Steelmax blades are offered with Tungsten Carbide Tips (TCT) or Cermet (Ceramic Metallic) Tips, designed for clean cool cutting of mild steel, stainless steel, aluminum and thin steel. They are suitable for cutting plate, grating, angle, channel, tube, pipe and many other materials.